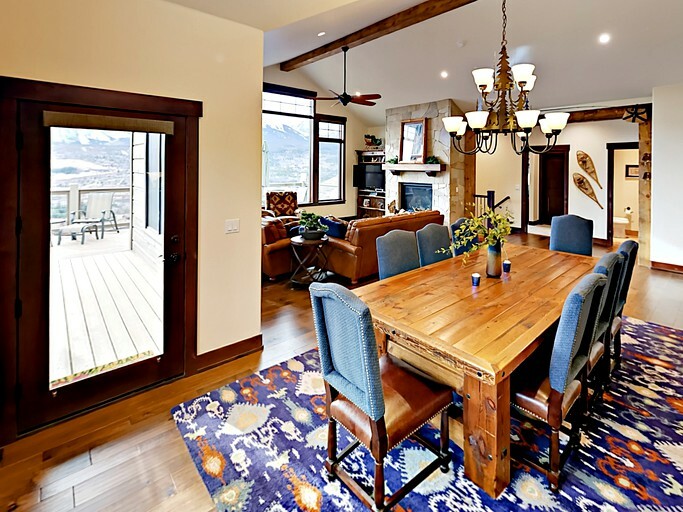 This charming vacation rental with stunning mountain views is situated near Silverthorne, Colorado, and can accommodate up to 11 guests. 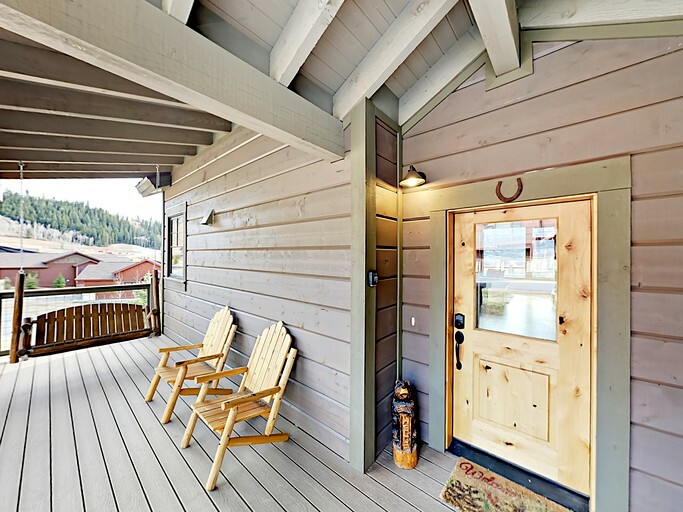 There are three bedrooms, three full bathrooms, and a half bathroom in this picturesque cabin. 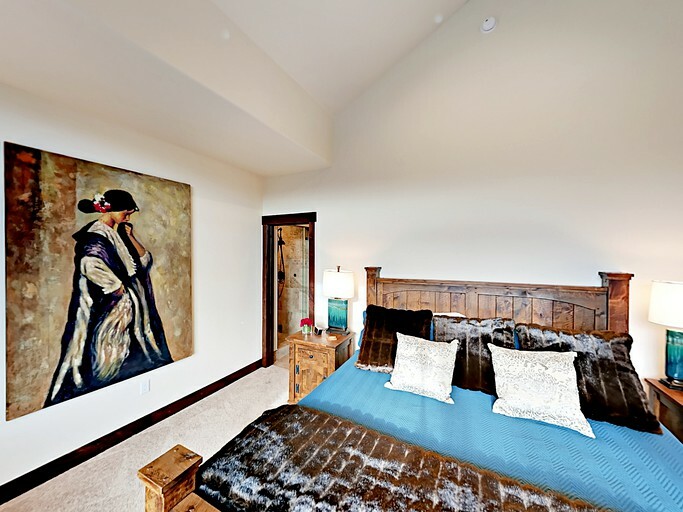 The master bedroom is situated on the main floor and has a king-size bed, incredible mountain vistas, and an opulent ensuite bathroom with a toilet, a dual vanity sink, and a steam shower. 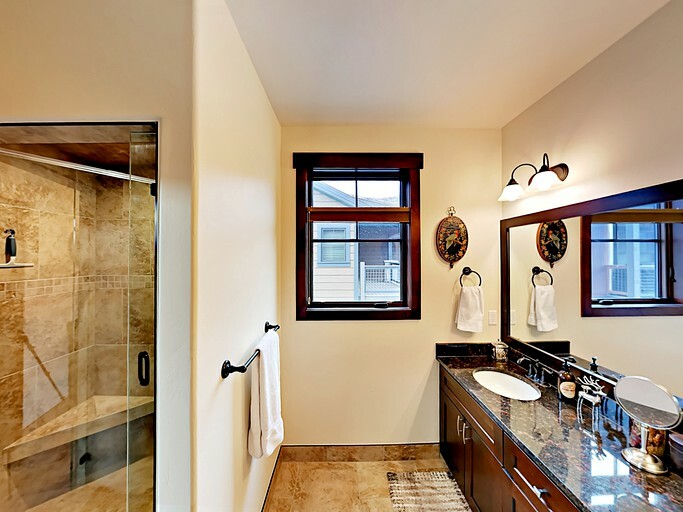 The half bathroom is also located on the main floor. 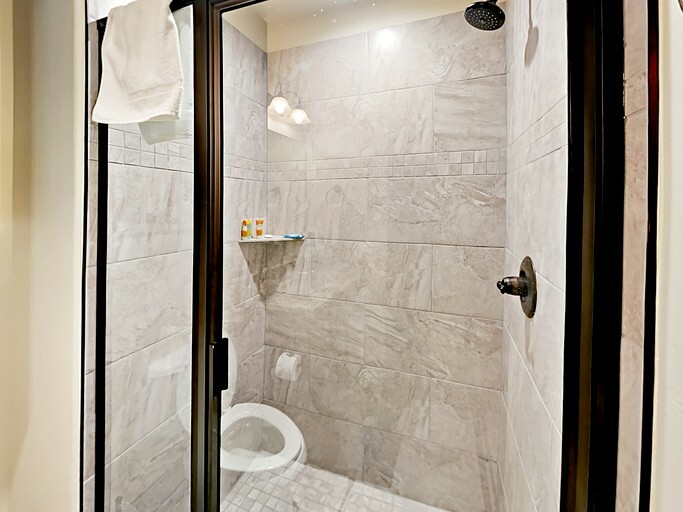 The second bedroom is located downstairs and features another king-size bed and an ensuite bathroom with a toilet, a sink, and a tiled walk-in shower. 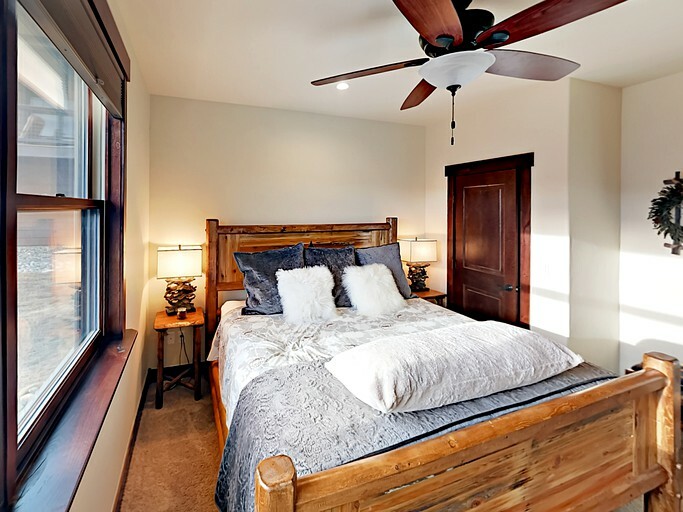 The third bedroom is also located downstairs and has one queen-size bed. 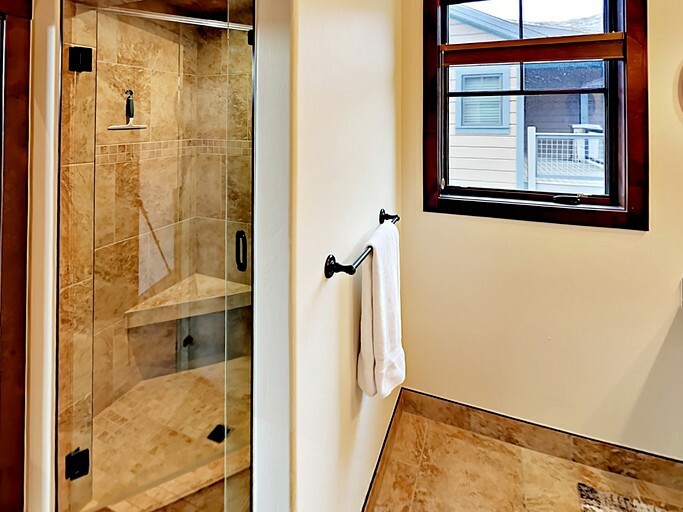 Another bathroom on this floor has a toilet, a granite vanity, and a combination bathtub and shower. Linens, toiletries, and towels are kindly provided by the host. 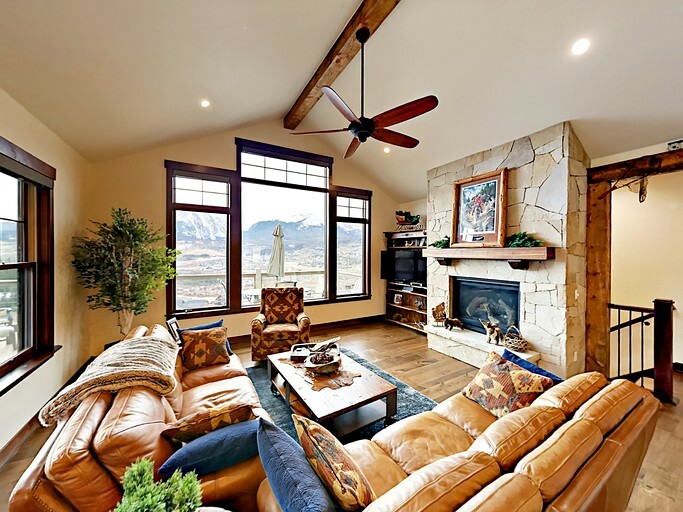 In the main living room, guests will find two large buttery leather sofas and a plush recliner armchair positioned around a coffee table, a 39-inch cable TV, and a cozy gas fireplace. 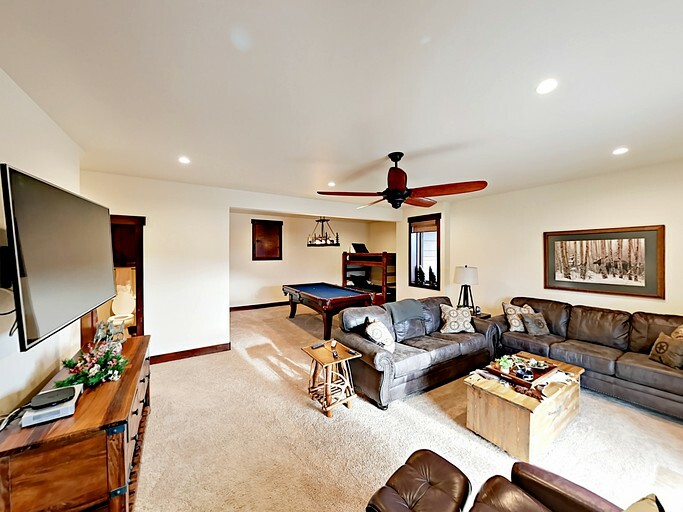 Additionally, there is a second downstairs living area with two leather couches, recliner chairs, a massive 64-inch TV, a pool table, and access to the back patio and hot tub. 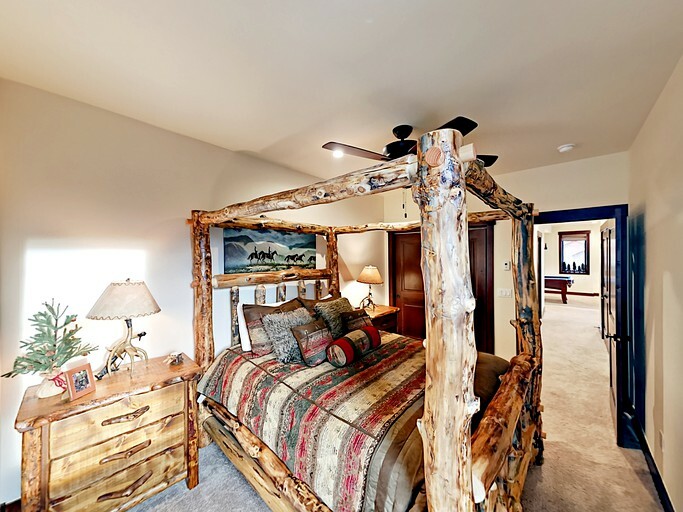 One of the sofas can be converted into a full-size bed, and there is a set of twin-over-full bunk beds on a natural log frame tucked in the corner. 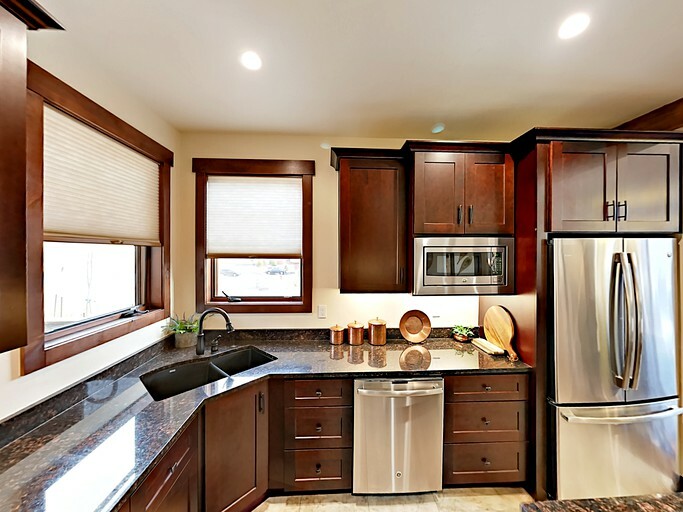 The impressive kitchen is equipped with an array of cooking and serving utensils, granite counters, and all of the modern stainless steel appliances guests might need to feel at home during their stay. 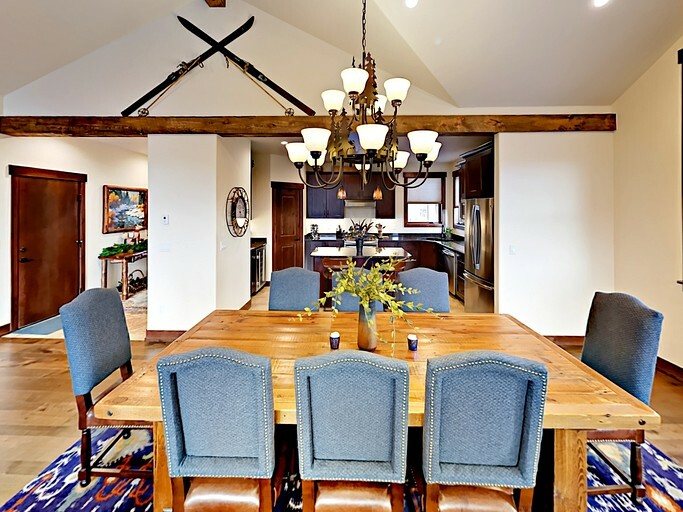 Guests can enjoy meals around the formal wooden dining table with seating for eight. A granite bar offers a wine cooler and ample space to make cocktails. 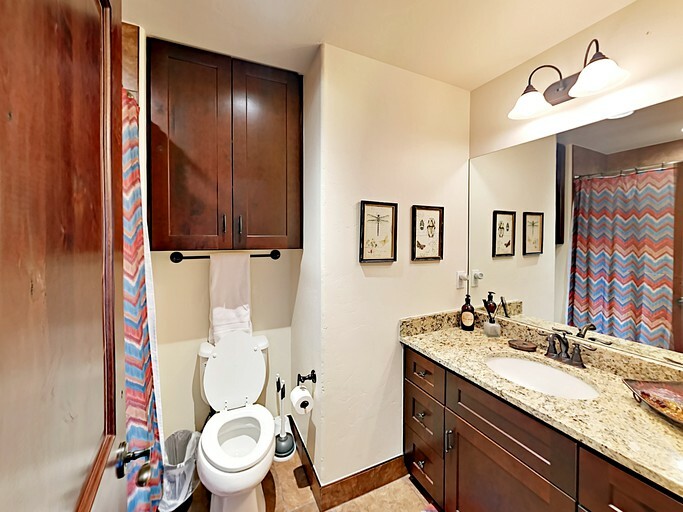 Glampers will be able to immerse themselves in the tranquil ambiance of the mountains while still enjoying access to modern amenities and conveniences. 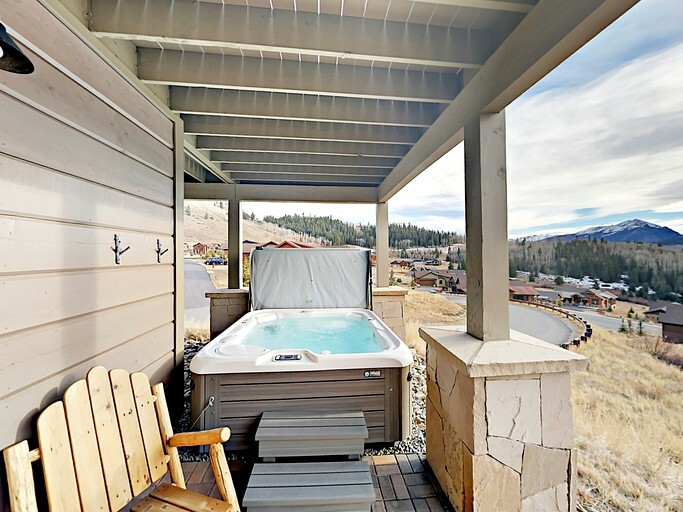 The accommodation features a luxurious private hot tub where guests can soothe tired muscles after a full day of exploring. 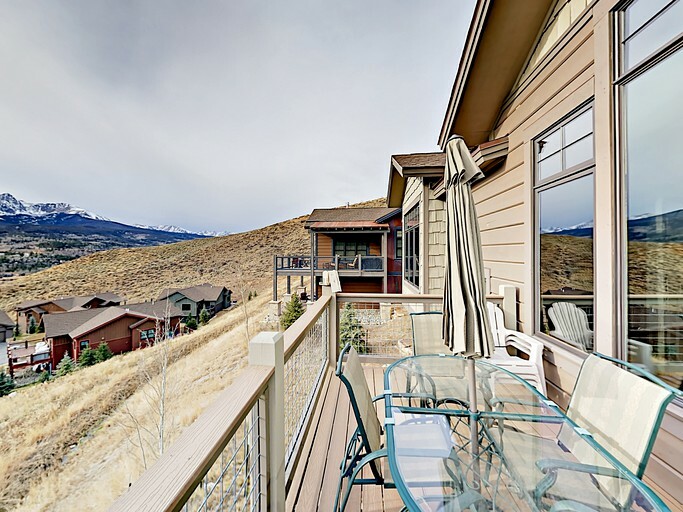 There is a stunning wraparound deck equipped with a gas barbecue grill, an outdoor table and chairs for al fresco dining, and awe-inspiring views of the surrounding mountains. 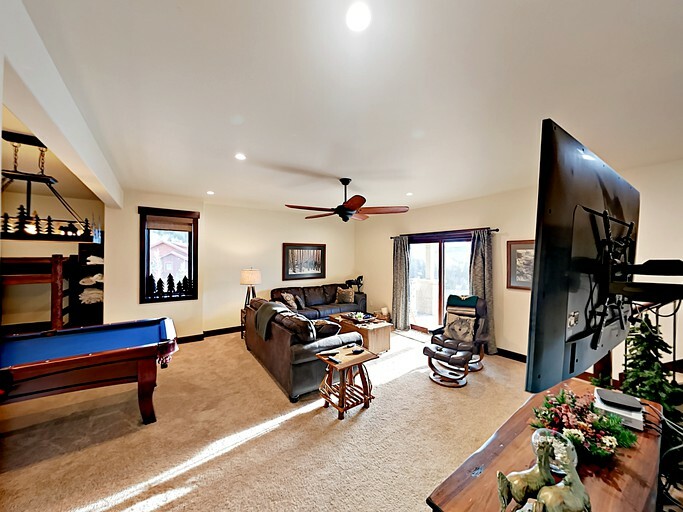 Inside the accommodation, guests can watch their favorite shows and movies on the 39-inch cable TV or cozy up with a good book beside the charming gas fireplace. 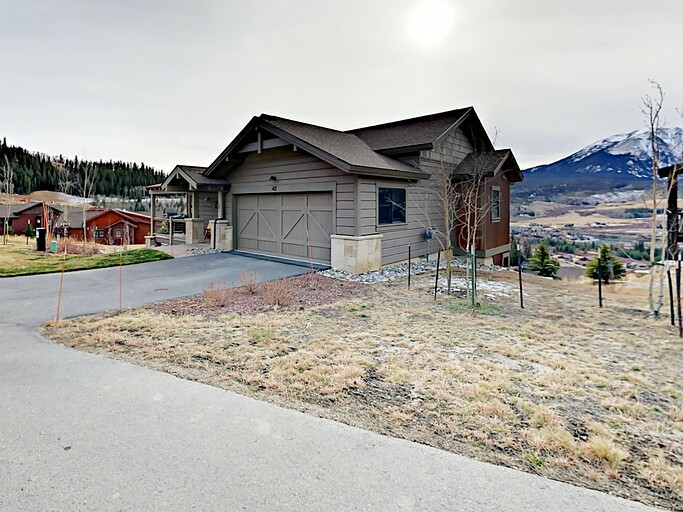 This charming property is surrounded by mountain views and abundant natural beauty in the majestic landscape of Silverthorne, Colorado. With easy access to some of the state's most famous and beloved mountain resorts, this is the ideal site for glampers seeking a true nature retreat with options for entertainment nearby. 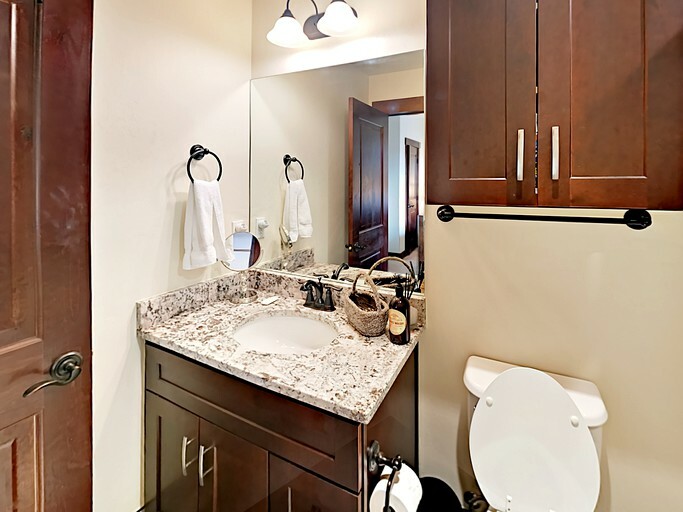 Guests can enjoy an array of snow sports and activities at Loveland, Arapahoe Basin, Copper Mountain, Breckenridge, and Keystone, all of which are located under an hour from the property. Glampers will have plenty of options for outdoor recreation and activities during their stay in this picturesque region. 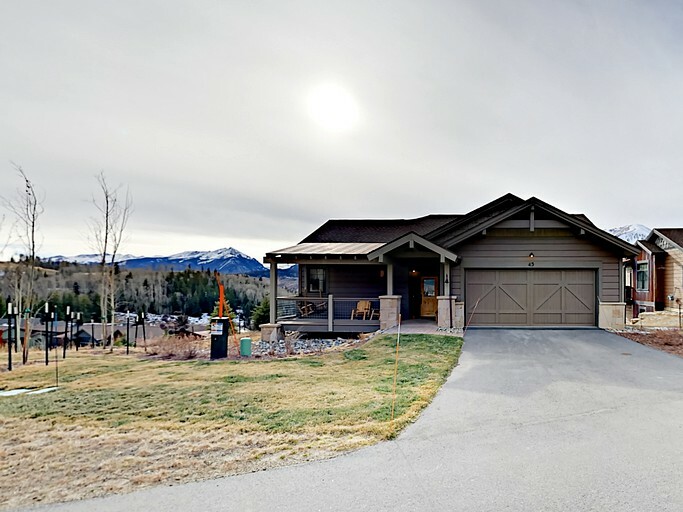 The area provides ideal conditions for skiing with slopes and trails that accommodate guests of all levels. Other winter sports such as snowboarding, snowshoeing, and cross-country skiing are all great ways to explore the terrain as well. Guests seeking something unique can rent a snowmobile or book a guided dog sledding adventure. As the snow melts and gives way to warmer weather, guests will have a whole new set of options available for entertainment. A plethora of hiking and biking trails can be found in the area offering scenic vistas and abundant wildlife. Additionally, thrill-seekers can explore the area on horseback or book an ATV tour. There is a stocked fishing pond near the property as well as a 12-acre lake perfect for water sports and activities such as swimming, canoeing, and kayaking. 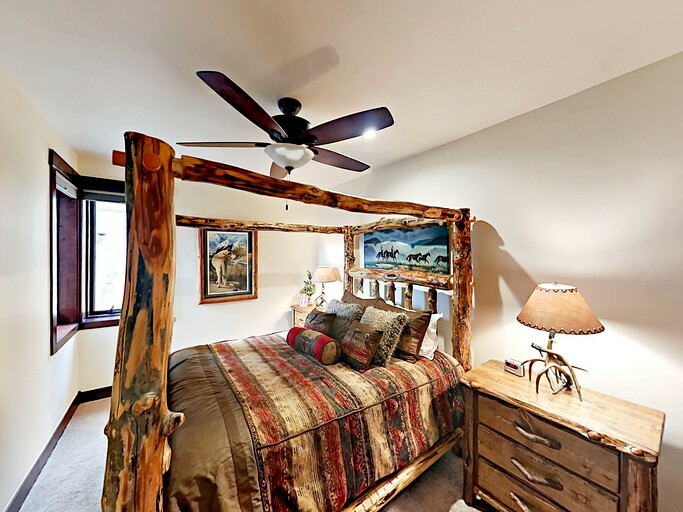 When glampers are ready for a break from the great outdoors, they can head into Silverthorne. 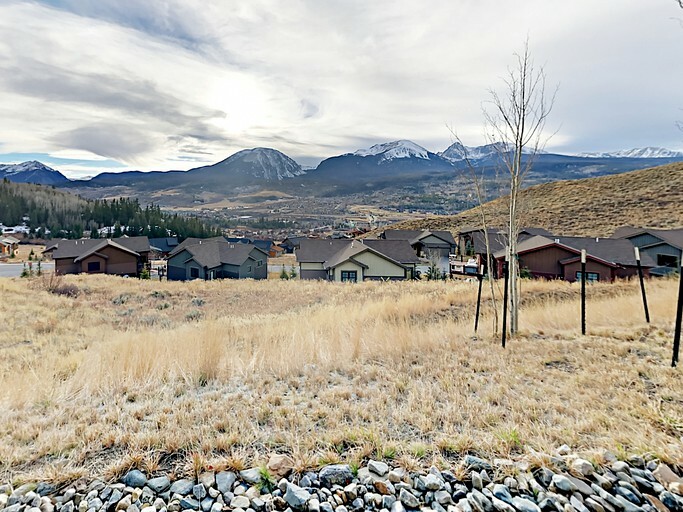 There are several other friendly neighboring mountain towns within driving distance as well, and the bustling Breckenridge area is only half an hour away. There, guests will find an array of shops, restaurants, breweries, art galleries, and more.